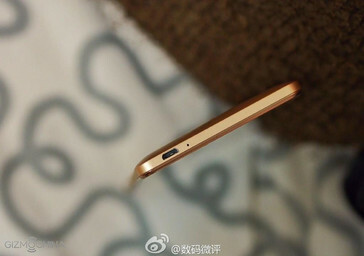 Leaked images reveal a golden aluminum chassis with fingerprint reader and Micro-USB port. 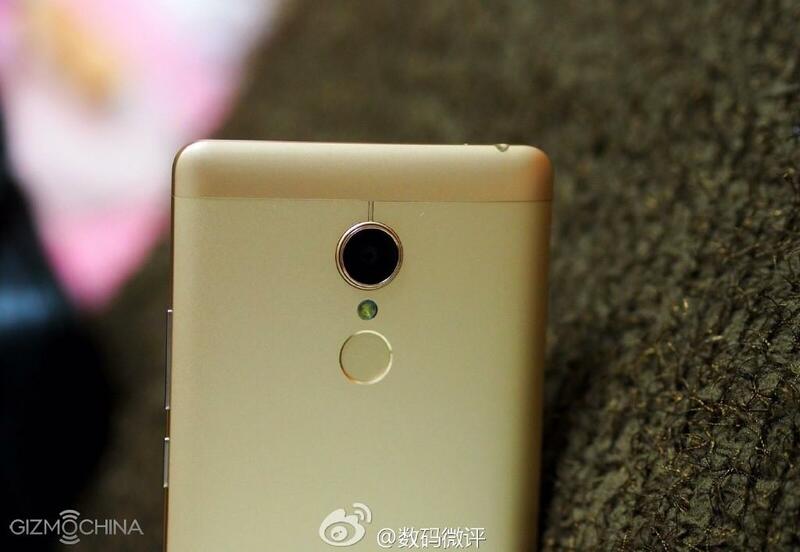 GizmoChina has released images of an unannounced Xiaomi smartphone that will likely launch as the Redmi 2 Pro, Redmi 3, or Redmi 2S. Judging from the differences in design, the smartphone is likely not the Redmi Note 2 Pro that recently made it TENAA for certification. The quality of these pictures is very good, which is uncommon for "leaked" sources. The gold-colored aluminum looks very attractive and users can clearly see a fingerprint scanner below the LED Flash. The unit uses a standard Micro-USB port instead of the increasingly common USB Type-C. According to the source, the device should be announced within the next few days. There is currently no information about the technical specifications for the device. 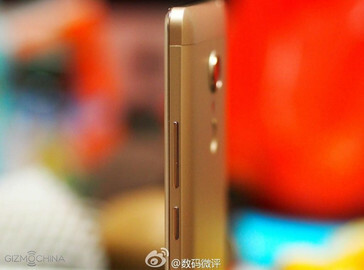 GizmoChina believes that the phone will ship with an octa-core MediaTek MT6752 SoC with 2 GB RAM and that the design has been inspired by the Meizu Blue Charm, Huawei Mate 7, and the Mate S smartphones. PhoneArena predicts that the alleged Redmi 2 Pro will appeal to the mainstream or even entry-level market with its aluminum chassis. The drawbacks of metal include surfaces that are more susceptible to scratches and possibly poorer cellular reception compared to plastic solutions. 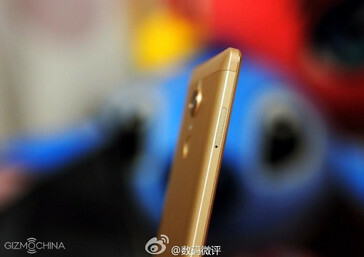 The first Redmi Note received good reviews, but the software was very much focused on the Chinese market and with expensive warranty overseas. Xiaomi was recently outpaced by Huawei as one of the top smartphone manufacturers in China.